I am a regular SHEKNOWS Contributor. If you are looking to published an article on Sheknow with a backlink to your website so as to add more Search Engine value to your website, this $10 gig is a great opportunity for you with one backlink. 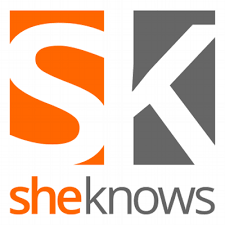 Sheknows dot com is a famous website having page rank 6 and large numbers of visitors each day. It is the Perfect site for SEO experts and marketers to increase traffic as well as google page rankings. Just one back-link in the article will change the whole picture of your marketing campaign. You can get any article publish on any given topic except gambling, dating, adult and pharmacy of course, these are not allowed by editors. Contact me if you have questions and you want to see samples of my work on sheknows. ***The turnaround time can sometimes be up to 1-3 days. So you must be ready to be patient. I Will Post Your Article on SHEKNOWS With a Backlink to Your Site is ranked 5 out of 5. Based on 6 user reviews.